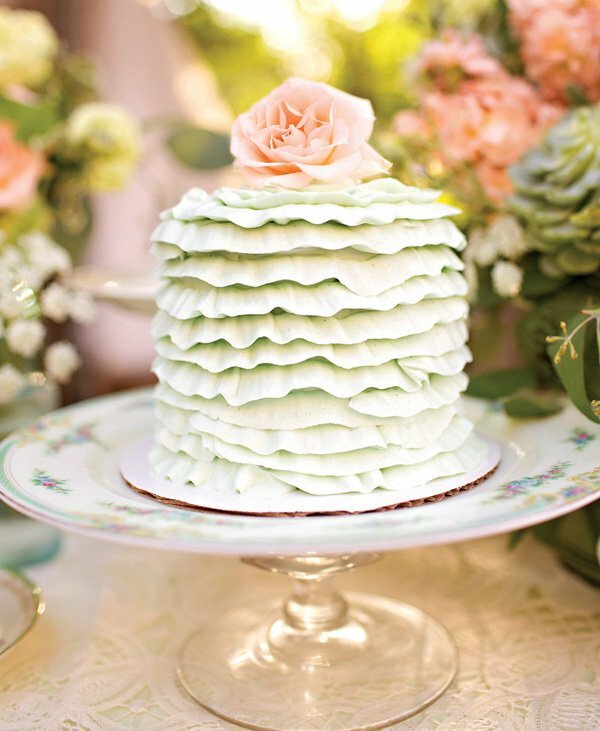 Pulling off the perfect tea party theme requires lots of dainty details! 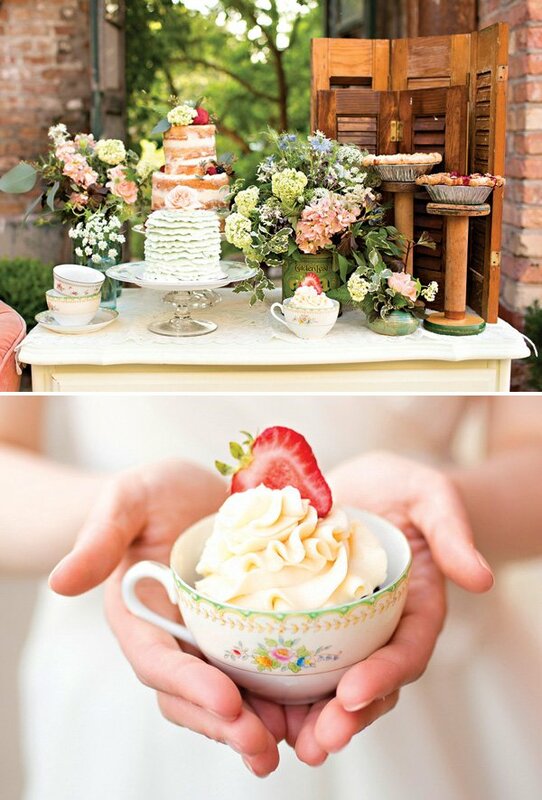 Kristen Janes of Kio Kreations included an assortment of vintage teacups, cake plates, bobbins and tea tins topped with decadent cakes, pies and cupcakes for this Shabby Chic Garden Tea Party Wedding Inspiration photo shoot. 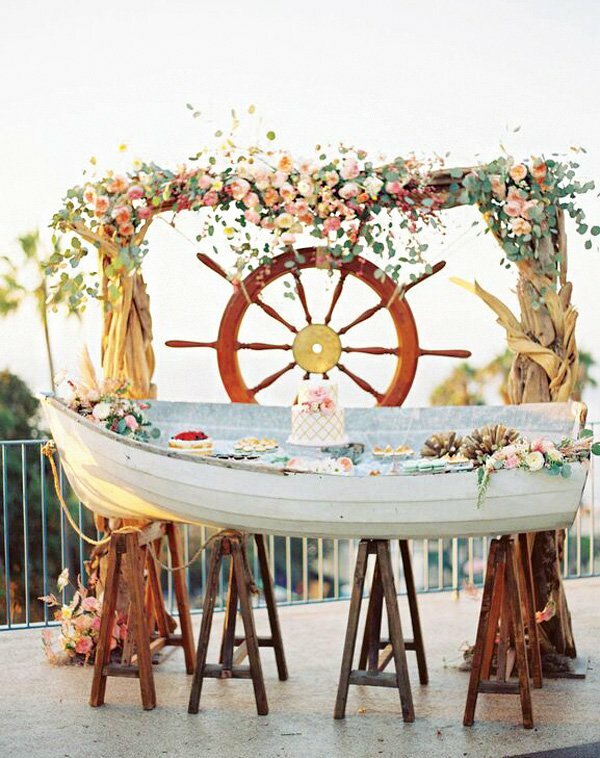 Filled with lush flowers and foliage, you’ll feel transported to a secret garden! Top it all off with the cutest teacup wedding favor bags and you’ve got the perfect reminder that ‘love is brewing’ :). we’d find the perfect setting for it in Sycamore, Illinois. Blumen Gardens was literally something out of a dream! 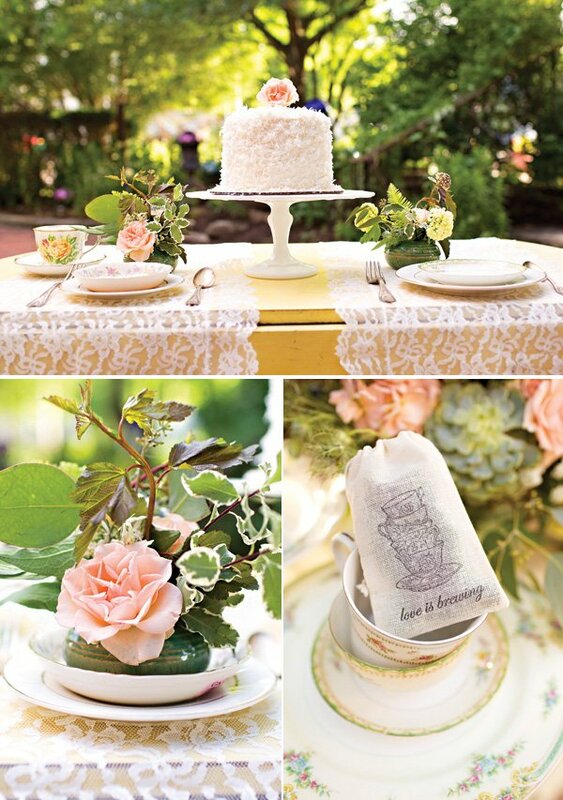 The lush gardens, beautiful architectural details and rusty relics were the perfect backdrop to our beautiful tea party! The Sugar Path provided an assortment of beautiful desserts including a gorgeous Ruffle Cake topped with mint green vanilla buttercream ruffles, a Naked Cake that was topped with fresh berries and floral accents, and a Coconut Cake that was filled with creamy coconut buttercream and coated in a yummy cloud of coconut flakes. 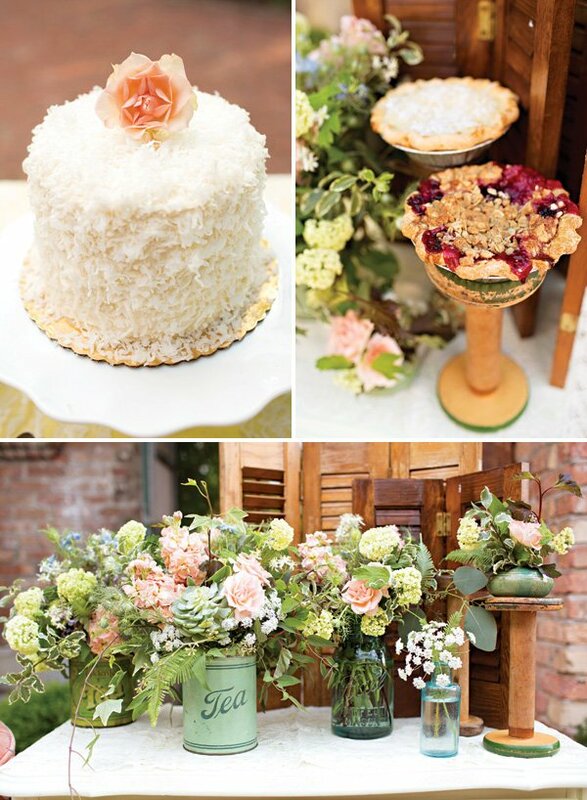 Chocolate Cupcakes, miniature Coconut Buttermilk Pie and Three Berry Pies were also featured. Our beautiful bride Jennifer looked flawless in her Legends by Romona Keveza gown, which was accented with an organza flowers sash by Desla. 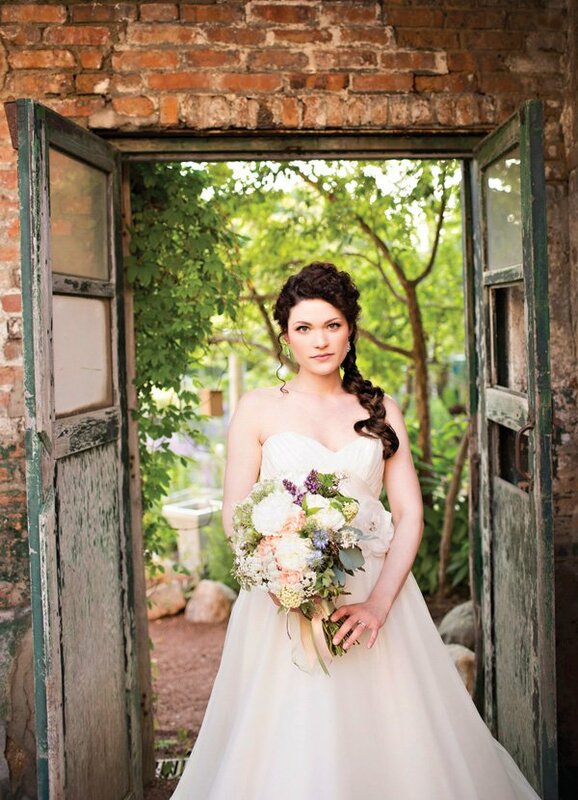 Jennifer wore her hair in a loose side braid that showed off her vintage-inspired earrings by Haute Bride. The final touch to her bridal look was a garden-inspired bouquet filled with peonies, nigella (aka Love in the Mist), spray roses, Queen Anne’s lace, clematis, lilac, ivy, pittosporum nigra, viburnum, and seeded eucalyptus. The handle of the bouquet was wrapped in sage green satin with lots of ribbon streamers hanging down (including some vintage trims!) 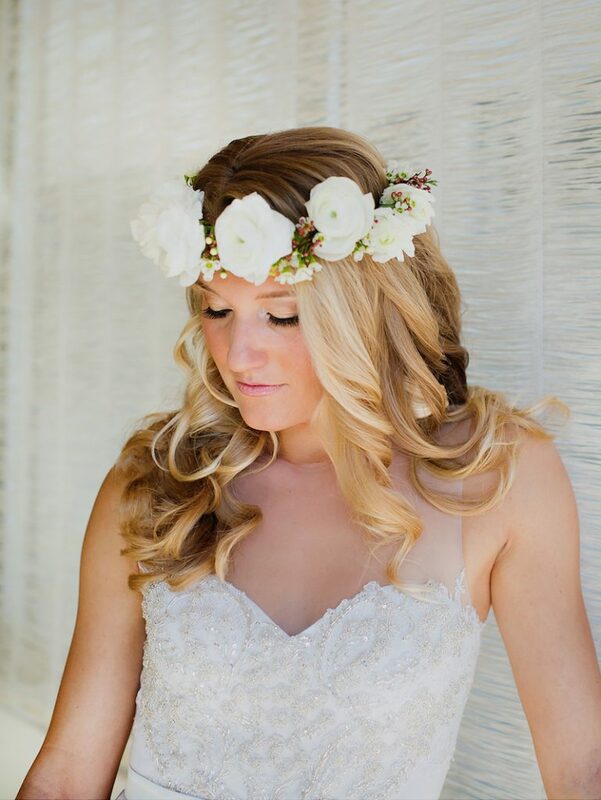 The entire bridal look from the bride to the dress to the bouquet was just perfection! 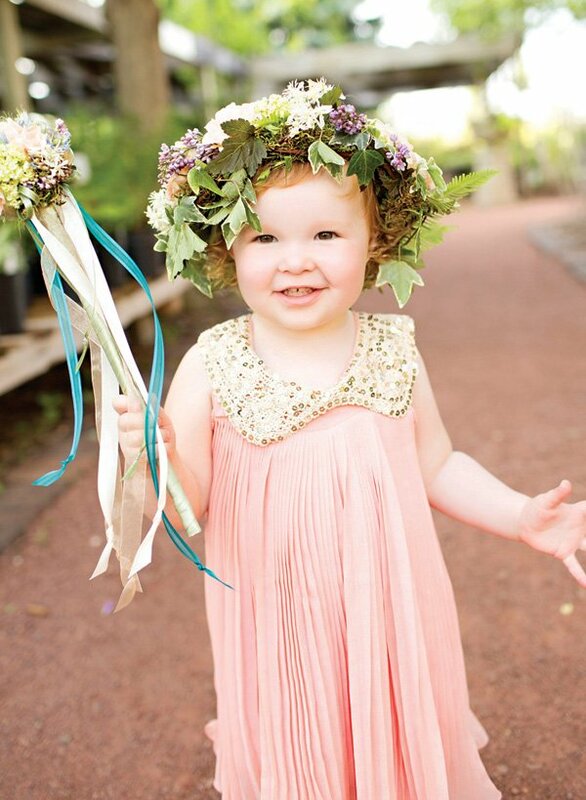 The adorable flower girl Aria wore a pleated chiffon dress with a bejeweled collar that we found on Etsy. It was the perfect shade of pinkish peach to compliment her porcelain skin and adorable red curls. 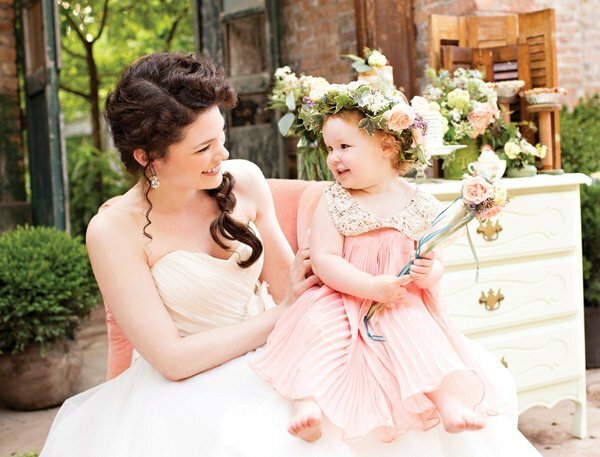 She also wore an ethereal floral crown and carried a “fairy wand” which was made using flowers and ribbons. Aria thought herself a fairy princess and she certainly looked the part! 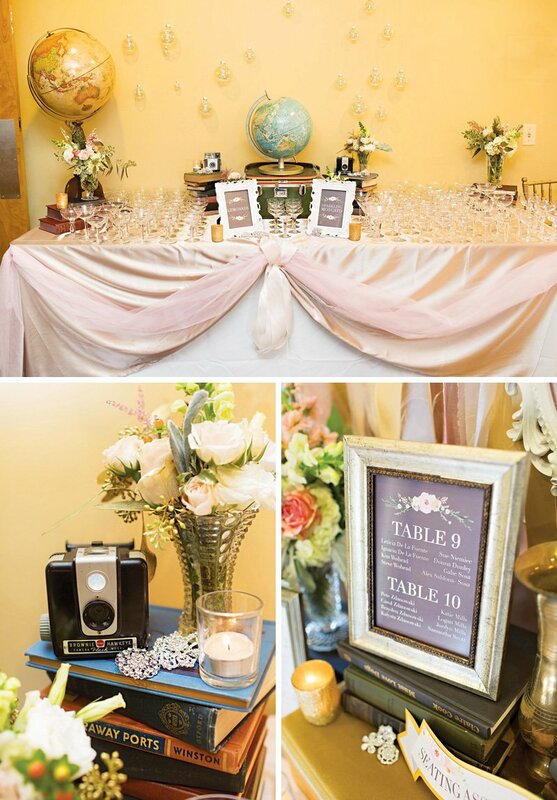 We loved putting together little vignettes all over the venue displaying the delectable desserts and fabulous flowers. We used an assortment of vintage pieces including an antique dresser and dropleaf table, a bunch of vintage lace table runners, a couple of old shutters, plus a bunch of vintage tea tins, mason jars, medicine bottles, bobbins, teacups, china, cake stands, and silverware. 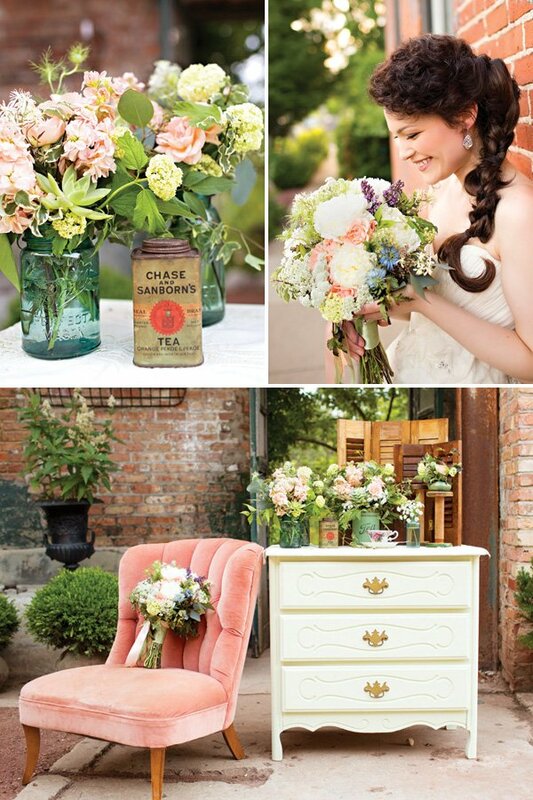 We even incorporated a few small antique ceramic floral frogs that held very simple floral and foliage accents. 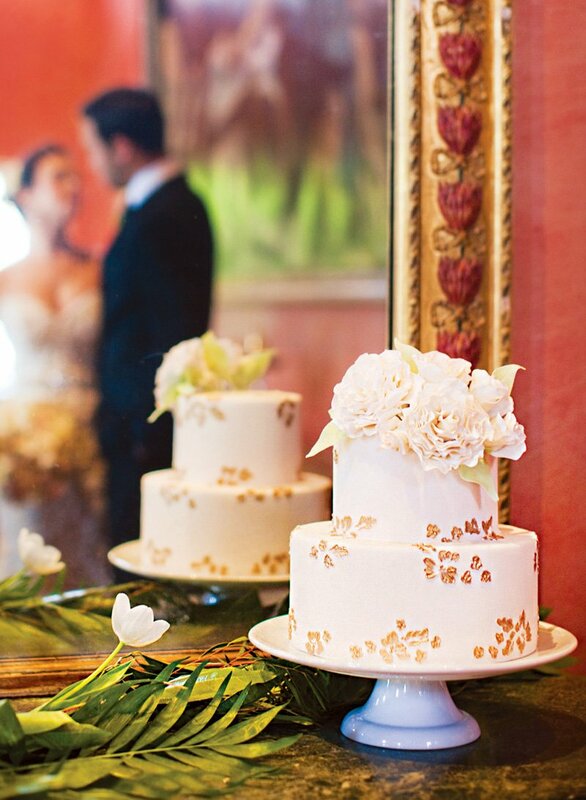 They were very easy to make and their simplicity was perfect with all of the other lush details. 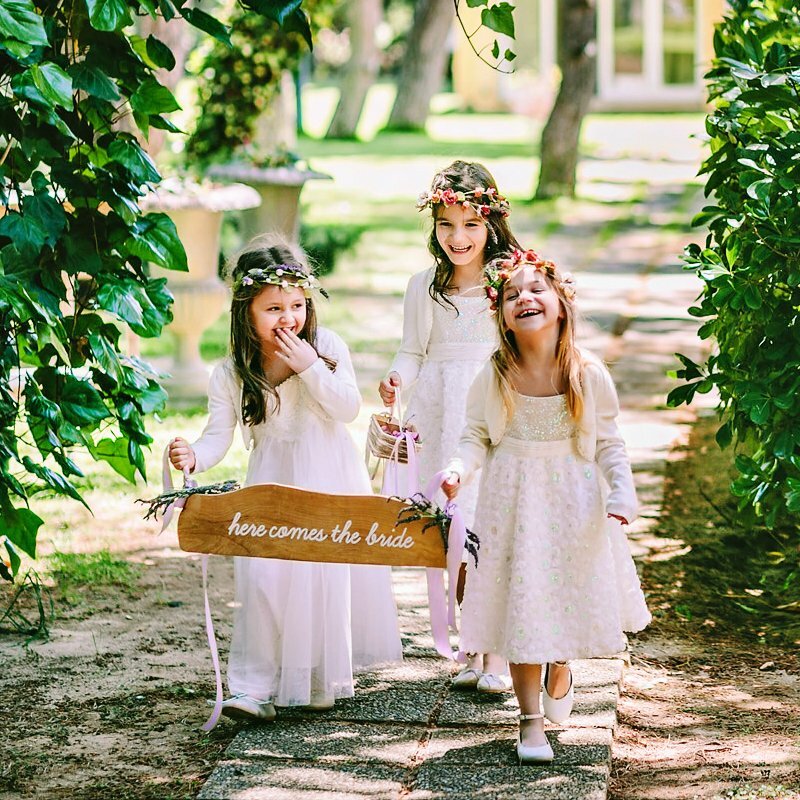 We LOVED doing this inspirational Garden Tea Party Wedding photoshoot and look forward to doing many more weddings at Blumen Gardens! 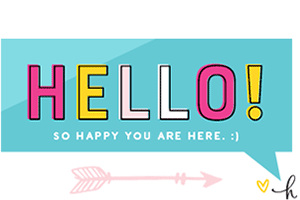 It is such a beautiful, magical place! 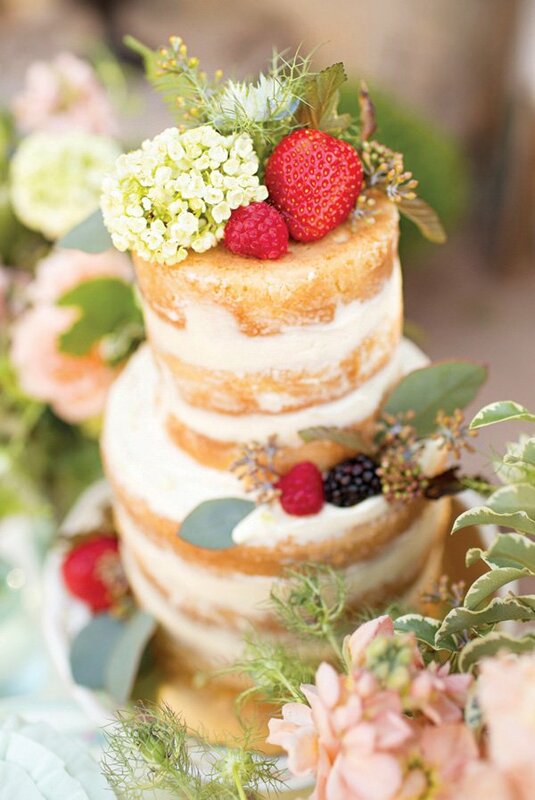 Cakes, flowers, style, and photography all look beautiful.